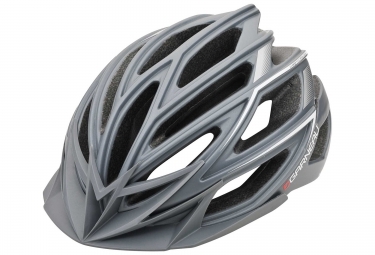 The Edge helmet's massive vents create unprecedented low speed ventilation, moisture evacuation, and cooling required of mountain bike helmets. U-Bar technology: Highly inspired by the Exo-Nerv technology, the plastic shell is made with U-shaped ribs (plastic is folded 6 times) that act as a complex exoskeleton to reinforce the helmet's structure. Integrated strap system with inner nerves: Inner frame which distributes the shock of impacts, thus providing support and protection while being lightweight. Spiderlock® SL II: Very light stabilizing system independent from the strap system. Its inclination can be adjusted thanks to its pivot system and can be easily tightened using only one hand. Edge visor: Specifically designed for the Edge and Sharp helmets, this visor fits perfectly in the design. The V-pro system makes it easy to install.